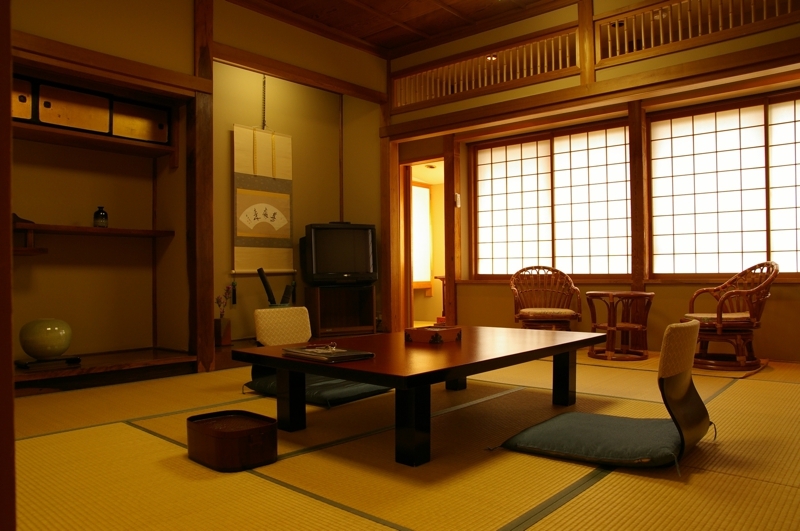 We have one Japanese tatami banquet hall and 7 Japanese style rooms of different flavor each. 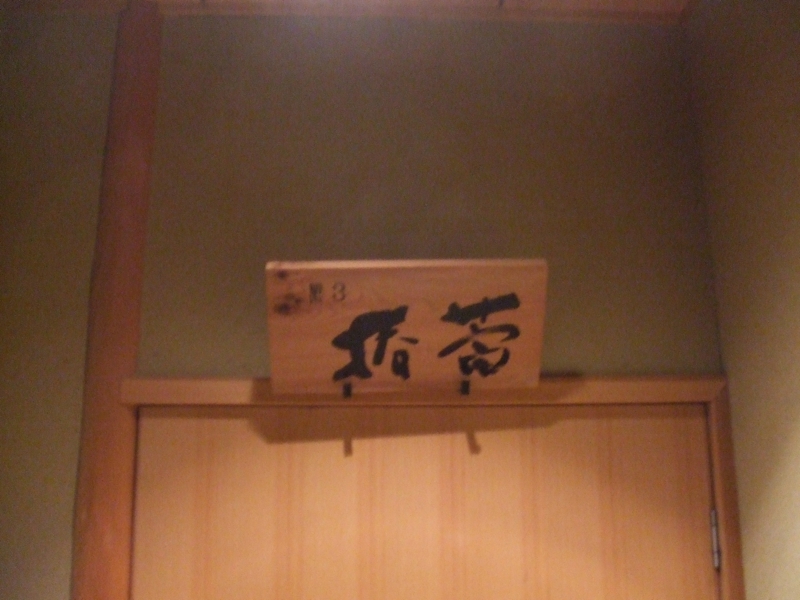 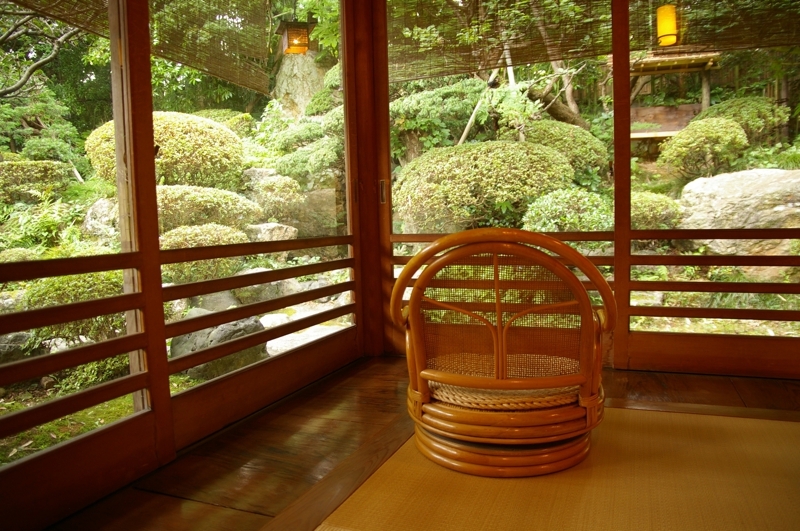 Room "Tsubaki" of the open-air bath with views of the back garden. 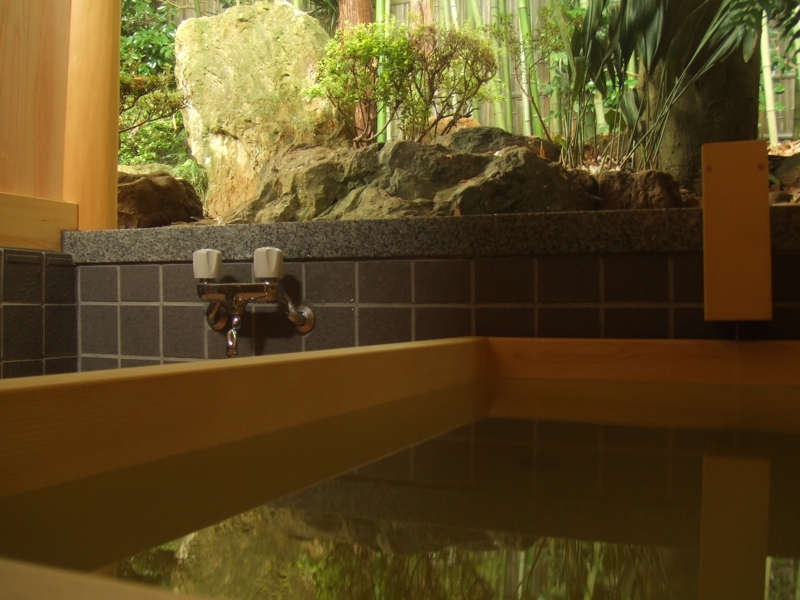 Bathtub is made of wood Koyamaki excellent. 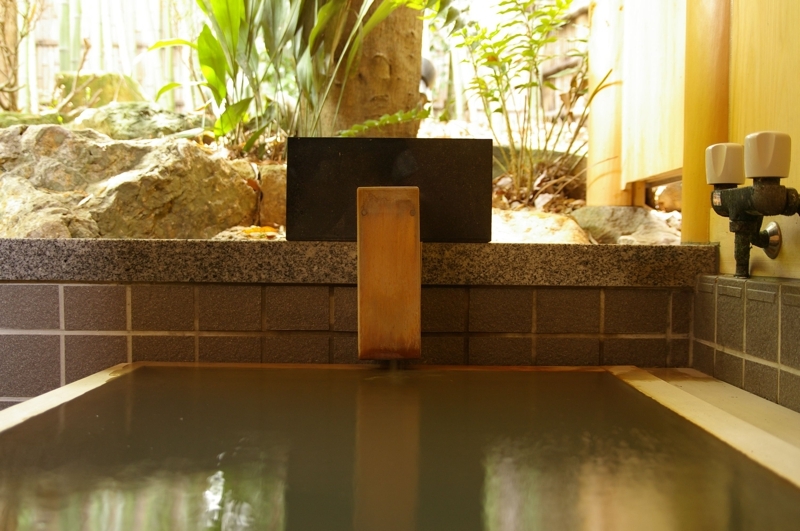 Please spend a relaxed in the bath sink over Iwamuro Hot Springs and the smell of wood. 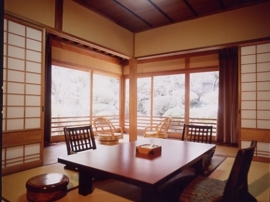 Prices: per pserson include dinner and breakfast. 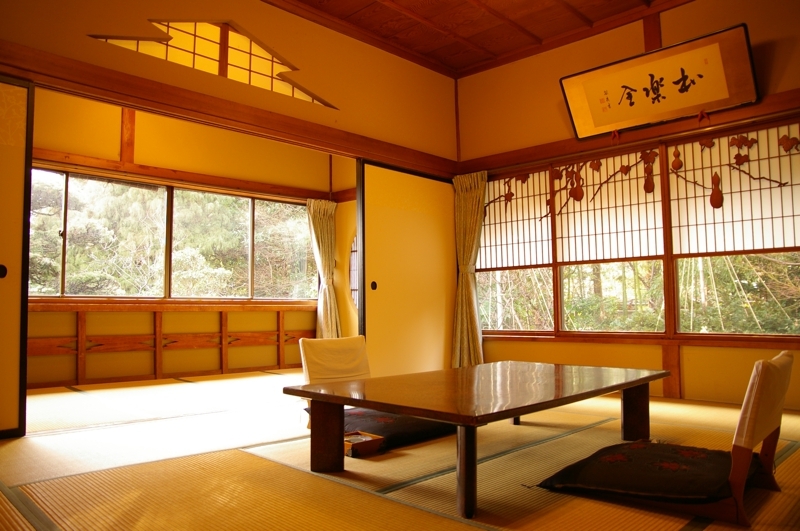 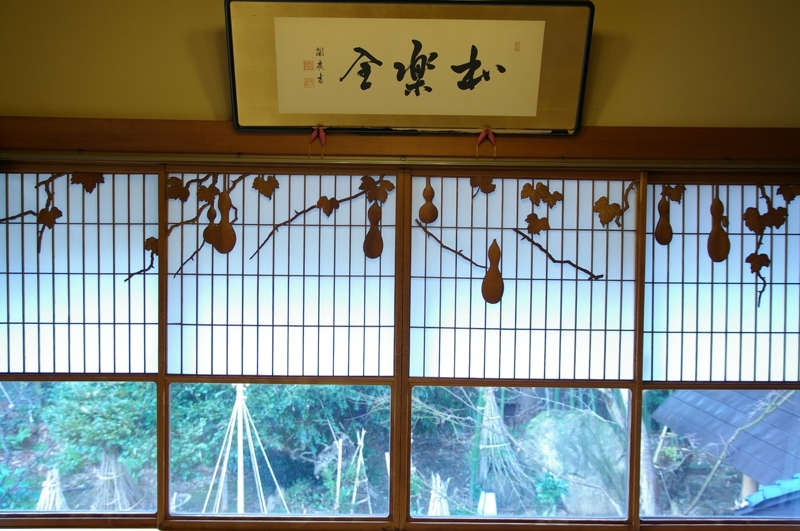 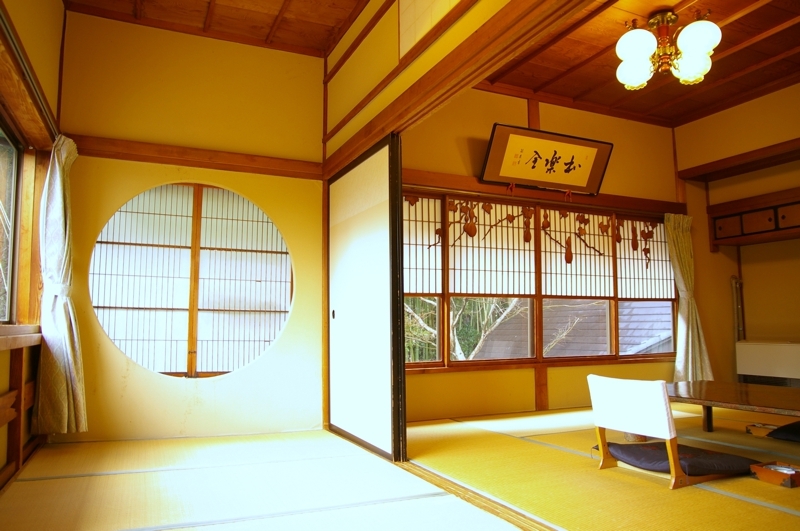 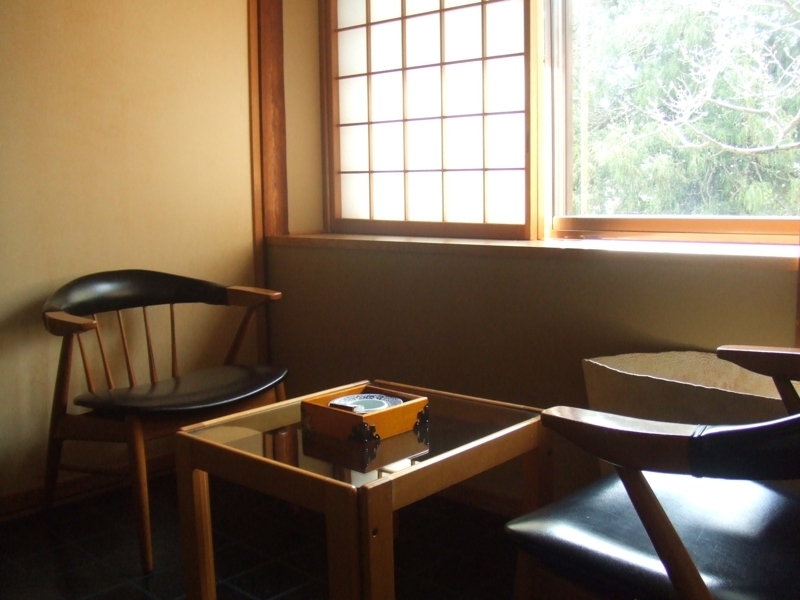 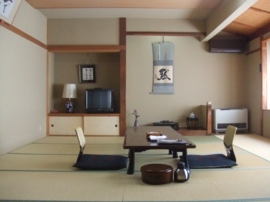 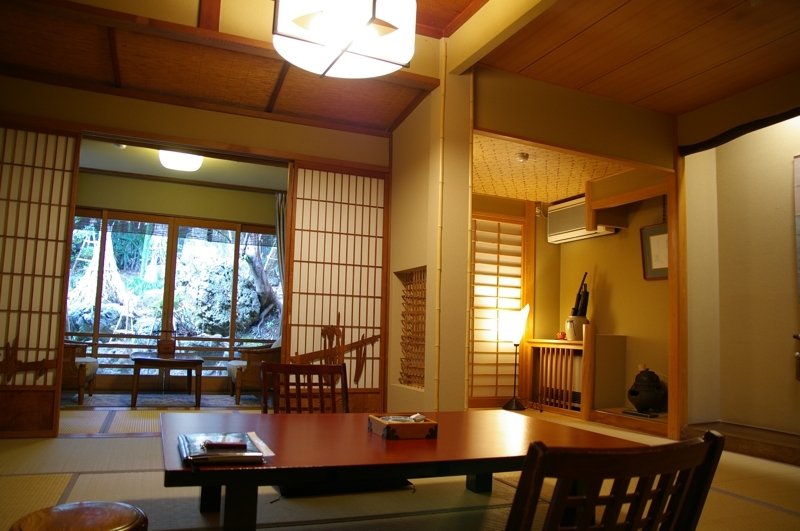 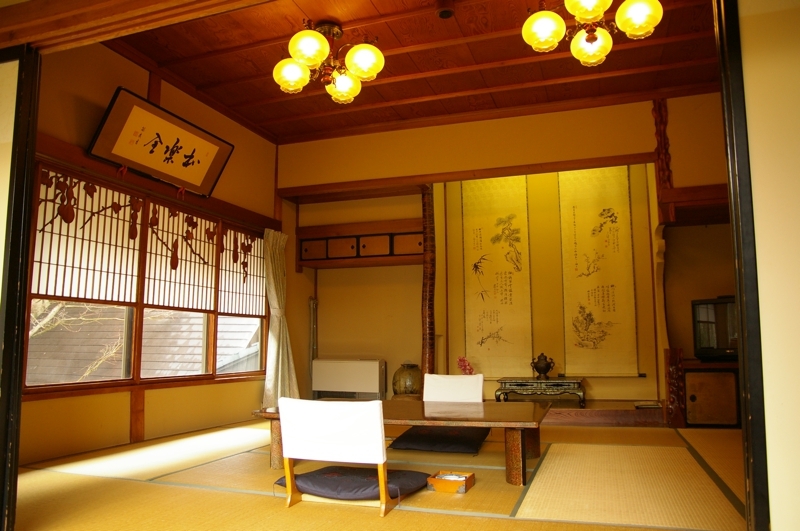 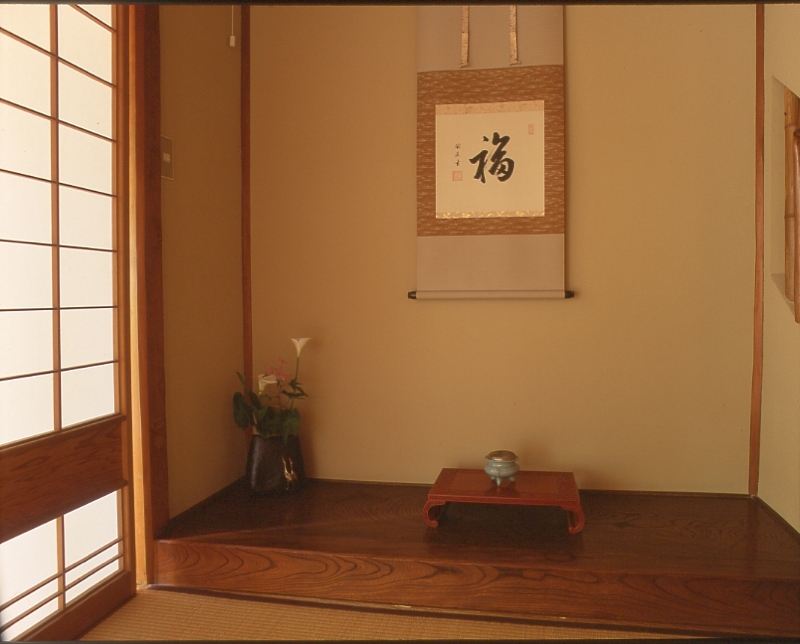 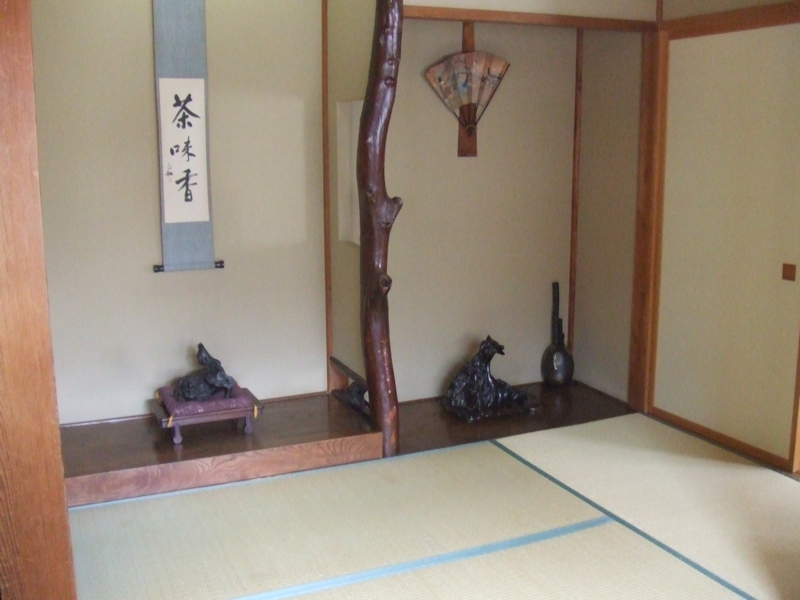 Room “KOUBAI(Red Plum)" is a corner room facing the beautiful Japanese back garden. 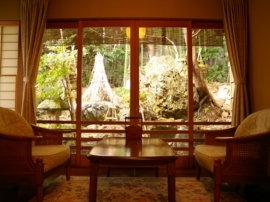 Please enjoy a quiet and relax time with views of the back garden of the four seasons. 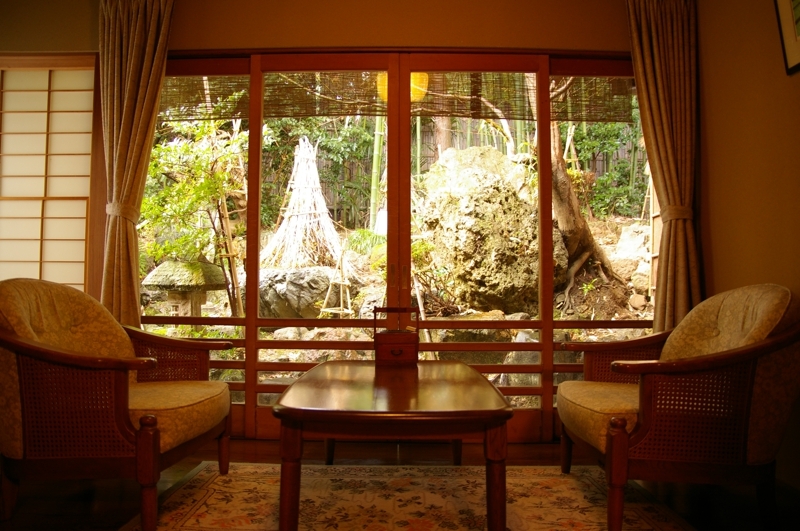 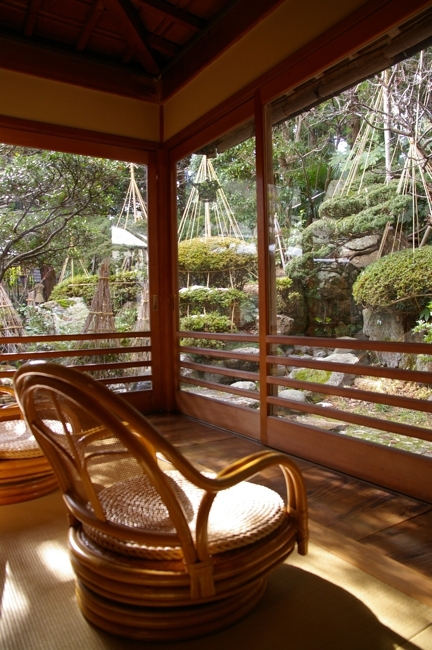 Room “HOURAI" is on the second floor overlooking the beautiful Japanese back garden. 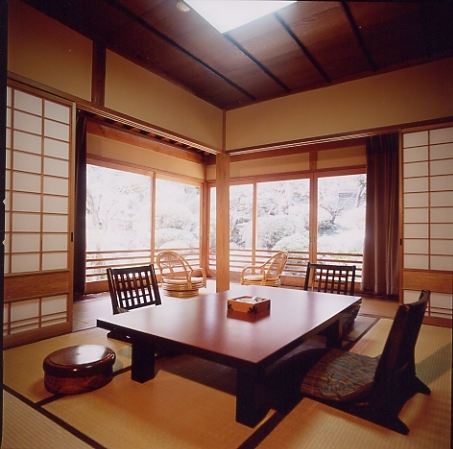 It is a room with a high ceiling can feel the traditional Japanese architecture of joinery such as window frames and the round window. 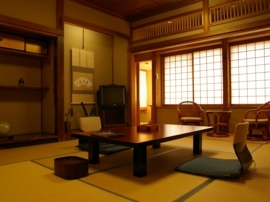 Room “TENJIN" is a spaciou room that can accommodate up to seven people on the second floor. 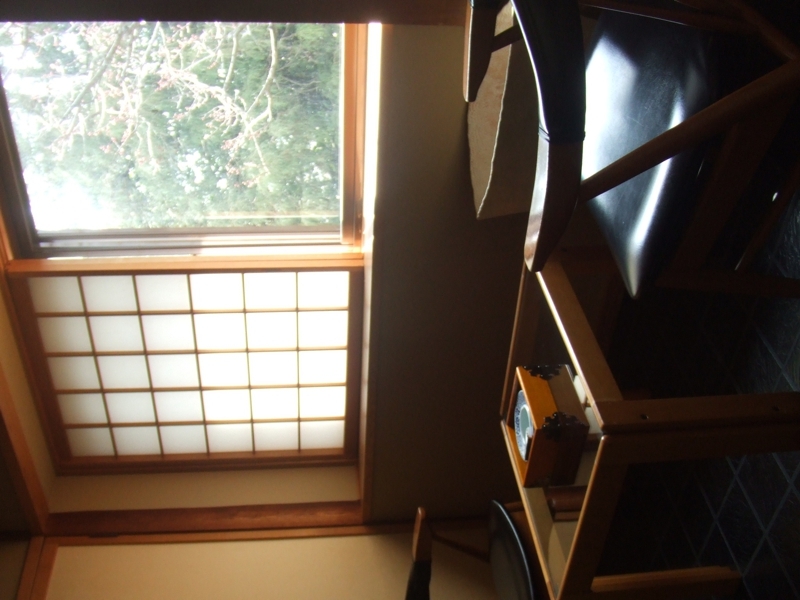 View of the courtyard you can see from the window. 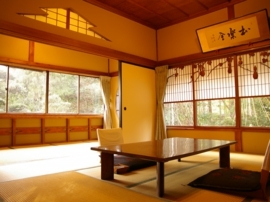 Room “TAHOU” is a room on the second floor of the south-facing. 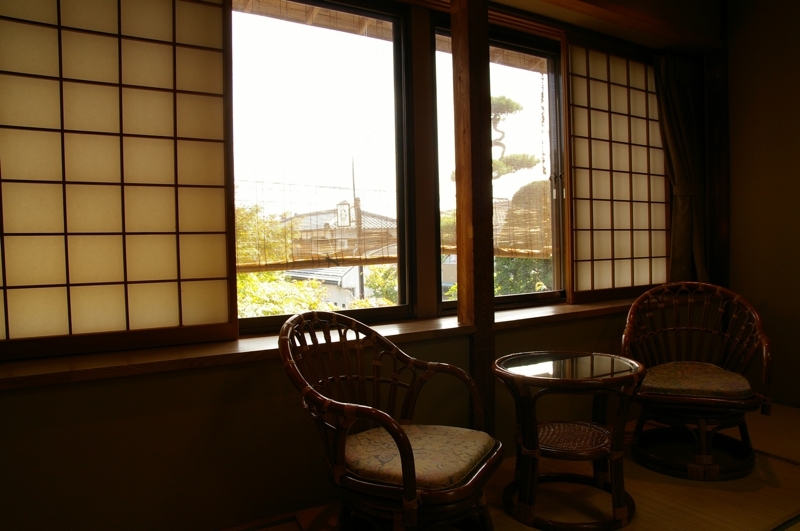 It is a bright room popular with women. 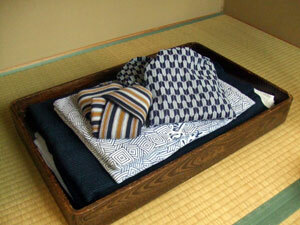 Yukata, bath towel, face towel, natural hemp scrubbing brush, toothbrush. 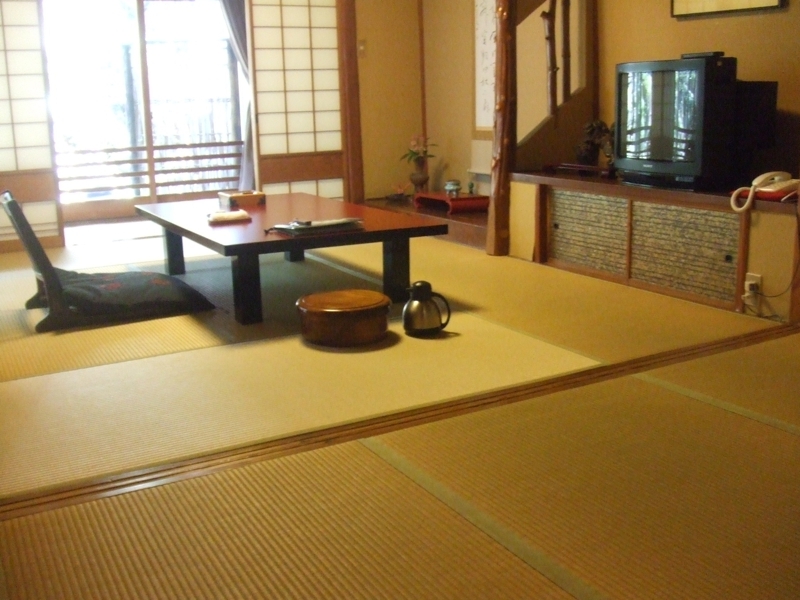 TV, refrigerator, hair dryer, shower toilet, free Wifi-access.